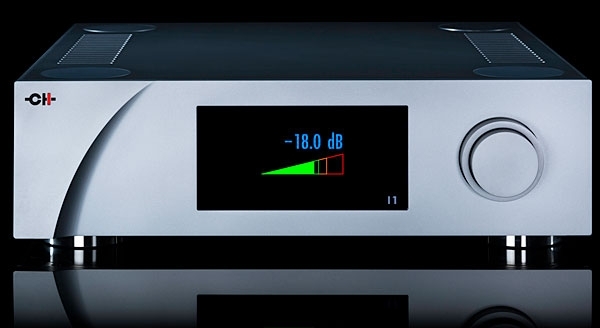 On the first page of the owner's manual for iFi Audio's Pro iDSD tubed/solid-state multibit DAC and headphone amplifier, the British company unabashedly describes it as "a 'state of the art' reference digital to analog converter" and "a wireless hi-res network player or the central DAC in an expensive high-end home system." As if in an afterthought, it continues: "The on-board balanced headphone section means high-end headphones can also be directly connected to it." 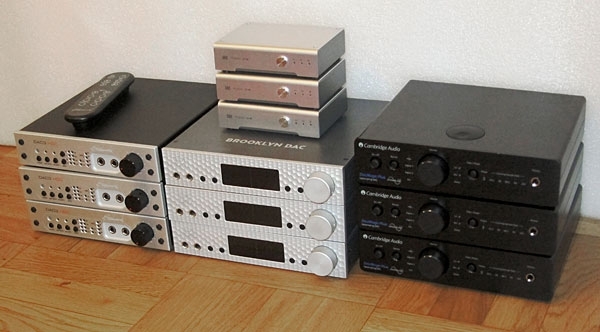 The manual doesn't describe the headphone "section" as "state of the art," so I'm deducing that the Pro iDSD is really more a fancy-pants DAC than a high-tone headphone amp. Back in the mid-1990s, I believed that the design of D/A processors was fundamentally a solved problem. The resistor-ladder, multi-bit DAC chips of the 1980s, with their linearity errors, had been replaced by sigma-delta types that had minimal linearity error down to the lowest signal levels. 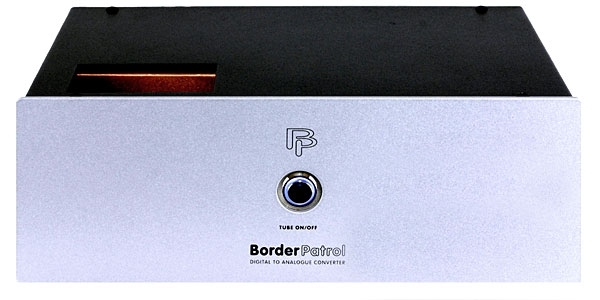 All that remained for the designers of PCM D/A chips was to increase resolution and dynamic range to the theoretical limits, and to improve the mathematical precision of oversampling digital filters to match the performance of the 20- and 24-bit recordings that had just begun to be released. I've never aspired to owning a BMW 7-series, or a Martin D-45, or a Rolex Submariner: BMW's far less expensive 3-series models capture my imagination by bordering on the affordable, likewise Martin's D-18and as long as I live, I'll never understand the appeal of expensive wristwatches. Bling's not my thing. 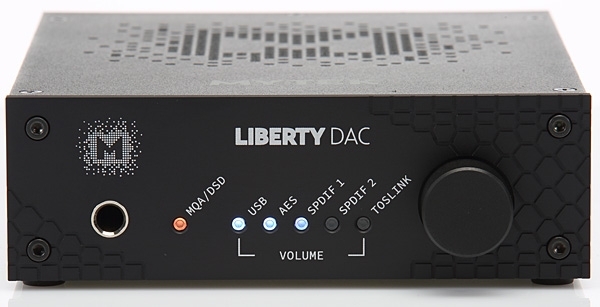 True to form, when I visited the Mytek display at High End 2018, in Munich, my attention was drawn to the brand-new Mytek Liberty DAC and its three-figure price: for $995, one could now own the equivalent of the original Mytek Brooklyn D/A processor, without that model's phono preampthis according to the company's Adam Bielewicz, who served as my product-line guide on that sunny May day. Left brain/right brain, yin/yang, male/female, Apollonian/Dionysian, classical/romantic, painterly/linear, dark/light, hard/soft, warm/cool...I use these contrasting adjectives in my reviews because I feel some confidence in their ability to convey the nature of what I experience while listening to recordings with whatever new audio box sits before me in the listening studio. I also use: accurate (I hate that word), neutral (what's that? ), colored, clean, transparent, open, musical. Sadly, I have little confidence in their ability to describe my experiences. While covering CanMania at the 2017 Capital Audiofest, I was sitting at the table of HeadAmp Audio Electronics, listening first to John McEuen singing Warren Zevon's "Excitable Boy," from McEuen's Made in Brooklyn (24-bit/192kHz AIFF, Chesky JD388/HDtracks), then to Macy Gray's Stripped (24/96 AIFF, Chesky JD389/HDtracks). I was listening through HeadAmp's extraordinary GS-X Mk.2 headphone amplifier ($2999$3199), but midway through Gray's "I Try," I stopped, pulled the Audeze LCD-4 headphones off my head, and asked HeadAmp's head of sales and marketing, Peter James, what DAC he was using. "Do you know the HoloAudio Spring DAC?"